The Benn Hall, Newbold Road, Rugby, Warks. CV21 2LQ. Resident DJ's.....Kenneth Aitchison.....Dave Rimmer.....Phil Shields. £11 before 9pm - £13 after 9pm. Large sprung wooden dance floor. So, our little girl April Menesse is all grown up. Thank you to all who came to help her celebrate her 21st and make her feel special. I've been receiving so much encouragement and support in the run up, that I new we could do this in style. I want to thank each and everyone of you for being part of last night. Unfortunately, I can't name everyone. So, just a few of the cogs which keep us turning. My door helpers, Idell Kamili and Georgia Dixon. Our sound engineer - Adam Topping. 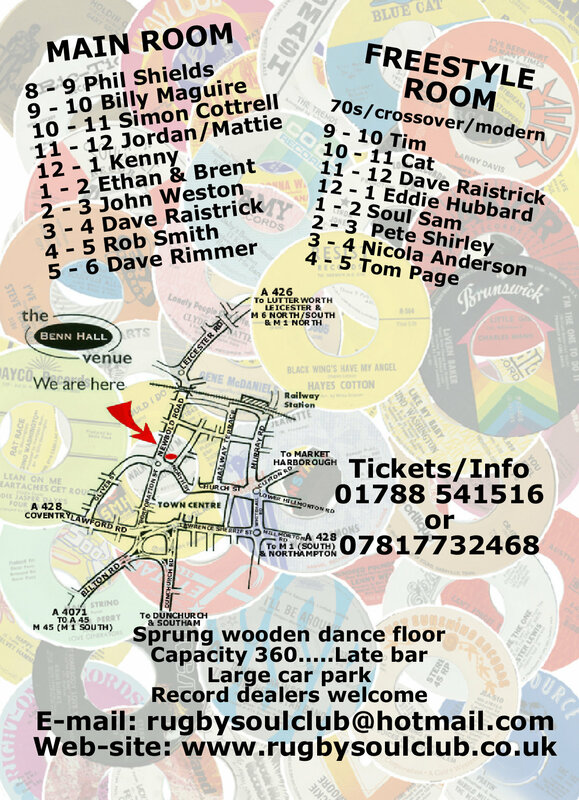 Our amazing DJs - Kenneth Aitchison, Dave Rimmer, Phil Shields, Nicola Anderson, Catriona Jakeman, Simon Cottrell, Mattie Holme, Ethan & Brent Howarth, Eddie Hubbard, Billy Maguire, Dontee Romark, David Raistrick, Soul Sam, Pete Shirley, Rob Smith, Tim Fletcher, John Weston and Jordan Wilson.